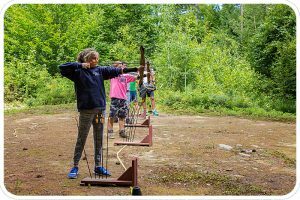 Camp Quinebarge is a children’s, coed, traditional summer camp in the heart of New Hampshire’s lakes and mountains regions. As a Unitarian Universalist related summer camp, Quinebarge espouses the values of UUism and is run by Unitarians. While not a religious camp, our goals and program, including developing an appreciation for the interconnected web of life and promoting the inherent dignity of all people are at the core of who we are and important reasons Unitarians select Camp Quinebarge for an incredible experience each summer. Quinebarge is a traditional summer camp in all ways. 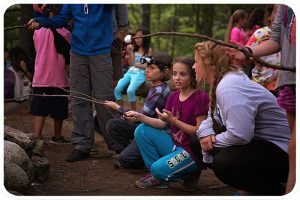 Founded in 1936, our program consists of swimming, boating, hiking, camping, arts and crafts, drama, wood shop, sports, adventure (high and low ropes, climbing wall and zip line), horseback riding, nature, square dancing and much, much more. Kids are guaranteed to have a ton of fun and make great friends, many of whom they will remain friends with forever. Quinebarge has a special emphasis on environmental education, awareness and fun activities, including solar cooking, water testing and organic farming. Beyond the activities, though, Quinebarge encourages and helps kids learn about themselves, each other and the world around them, gaining a greater understanding and appreciation of all. We stress the importance of friendship and community, fairness and integrity, and respect and understanding in all we do. 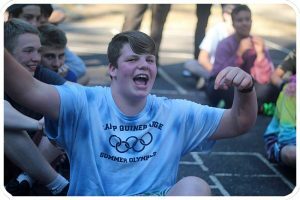 Each night after Evening Activity, the entire camp creates a Friendship Circle and shares our daily highlights followed by a song. After Friendship Circle, campers shower and get ready for bed, at which time each cabin has Candle Pass. Candle Pass involves each cabin passing around a candle before bed and discussing the highs and lows of the day, an issue important to them or maybe just a funny joke. These end of day rituals help center us for the day, allow us to reflect on our shared experience and bond as a community, both big and small. 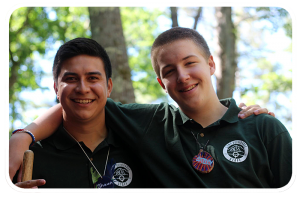 Unitarians understandably come to Camp Quinebarge to experience a wonderful summer camp in an incredible location with rich history and traditions that adhere to UU principles. 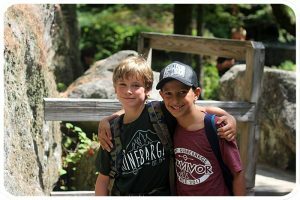 As a Unitarian Universalist related summer camp, Quinebarge welcomes children of all and no faiths.